Located right on the sandy beach of Saint Prokopios, just 50 metres from the bus stop. 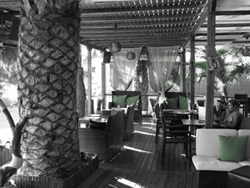 Under the sounds of loud music it offers delicious snacks, coffees, soft drinks and refreshing cocktails. 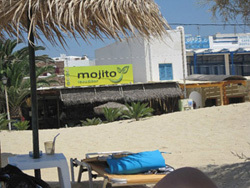 Mojito beach bar also offers sun beds. If you are visiting Saint Prokopios beach don't miss it.